The upcoming game DC:Barbarossa is a very complete experience. It is a game build on top of a system and an engine that has been in the process of fine-tuning and improvement for a very long time. I remember starting the system with People’s Tactics way back around 2003. The system was then modified during the years and finally resulted in the game Advanced Tactics that was subsequently published by Matrix Games in 2007. On top of this I added everything that was necessary to make the game a more serious historical simulation. Like generals, their action cards, the ability for allied players (belgium and france for example) to share hexes, historical unit counters and more rigid chains of command and TOEs. Some of the improvements where visual (like the revamped interface) while others where more rule based. Two examples of the additions that will not have been noted by everybody that I am still proud of were the combat delay points (causing delays on conquered hexes for subsequent units moving through) and the persistent attack stack penalties (that avoided the stack-of-doom techniques). Then later in 2010 work on Decisive Campaigns : Case Blue commenced. Build on top of the DC1 engine. To really support the long scenarios (500+ units, 100+ turns, 160×120 hex map) in this game compared to the scenarios in DC1. The focus for the engine turned to giving the player the tools to sustain a long campaign and really present the player with a flexible OOB that could be modified to cater for whatever might happen during the very long fight. I could say a lot more about unique DC2 features (like the oil rules and troop replacement systems that were added) but it is outside the scope of this short post. What matters is that I started here with some limited interaction between the player and the high command. The player could use PP (political points) to change the mind of the high command concerning objectives or for demanding more replacement troops of some specific kind. This is something that turned out to be one of the seeds for the explosion of cards and decisions in DC3. Then end 2013 I teamed up with Cameron Harris and we build Decisive Campaigns : Barbarossa on top of DC2. I spent most of my time on further fine-tuning the engine, creating the best AI for DC so far and adapting the engine to allow for a wealth of immersion provided by the game design by Cameron. Reports and decisions now look the part and are well integrated in the rest of the systems (like statistics, counter shuffling and extra info tabs). It was a very good decision to team up with Cameron, since with the previous titles I always lacked a bit the time to add everything I wanted those games to have. Working on a game together doubled the effort and made my dream DC game possible. The AI got better every game. And I learned a lot. I coded a complete new AI for DC1 and then again for DC2. In DC3 I chose to build the new AI on top of the DC2 AI with the focus being on sustaining a frontline better and retreating if necessary and being able to keep a sustained offensive going by focusing on particular frontages. By not coding up the AI once more from scratch I freed up the time to do some serious scripting for the AI in Barbarossa. Resulting in the AI being very sensitive to the particularities of this game and both AIs having different plans available to them each play through to ensure replayability. Each DC game has been an handcrafted product and although the DC games share a lot of things they have all turned out to be really special in their own way. And for all three there will be things you can only find in one of them and not in the others. I think DC1:Warsaw To Paris is maybe the most simple one to play with a relatively low feature set. But it is also a real ‘pearl’ of multiplayer wargaming. The game allowed for example the Germans to be played by up to 5 human players with one being in overall command and the others in army command. DC2:Case Blue distinguishes it self from the two others in sheer size (units, number of turns and map) and giving the player an amazing amount of micro management freedom. Want to disband a regiment? 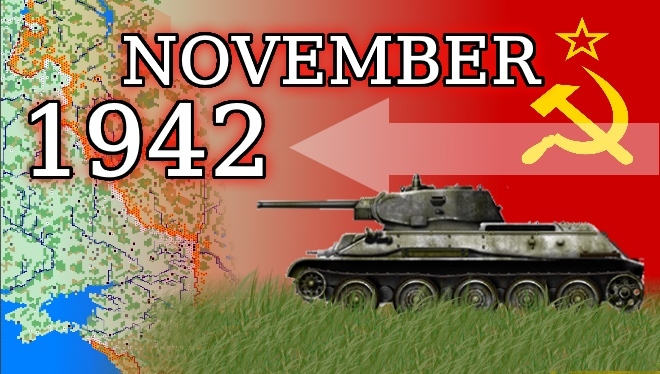 Want to change the divisional type of the 113th infantry division? Want to form a new independent Motorized Regiment and slowly see the replacement troops trickle in? Want to shuffle your officers around? etc..
And well… DC3:Barbarossa I consider it like the crown on the series (for now). Concerning counter shuffling there is much less micro management, but the decision systems and advanced reports we added make this game into something much more. To me personally it feels a bit (and with all humility) like ‘king of dragon pass’ meets ‘wargame’. The addition of so much robust writing and decision points really makes the system shine. The decisions influence the units on the map, but the units on the map also influence the decisions. For example to have a detailed combat report in your ‘inbox’ on how the 10th panzer division failed to hold Rzhev just brings a sense of wonder to me… especially when I then have to make a decision based on the after effects in the chain of command of that battle as well. More news will still follow on DCX:Community Project. 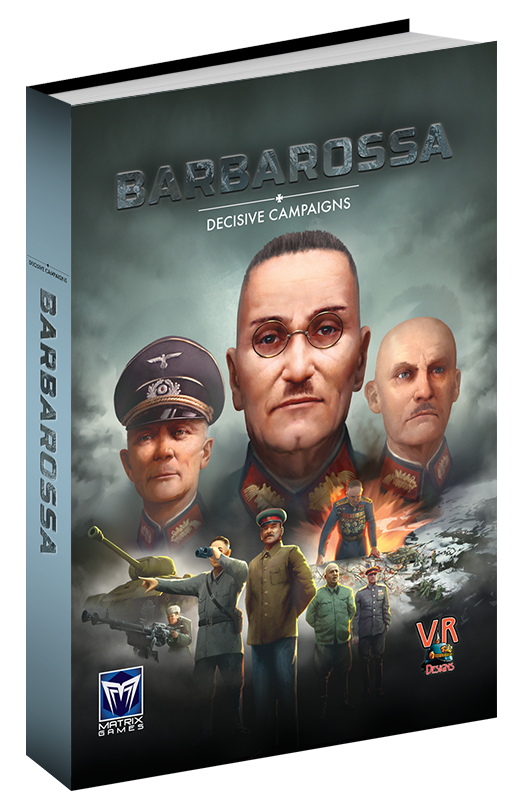 Its the free BETA title for future DC3:Barbarossa owners that basically builds upon an expanded DC2 ruleset and finally makes it much easier to create your own scenarios for Decisive Campaigns. This entry was posted in DC:Barbarossa, DC:Blitzkrieg, DC:Case Blue, DCX : Community Project, Game Design. Bookmark the permalink. Hi, I’m following your series of with high interest keep the good work! As a programmer myself I’m very interested in a technical article describing the AI. Which techniques, which challenges, what trade offs , how to test it, how to develop it, etc… Maybe something far from your usual readers but a piece of content is not easily findable in the Internet, AI in commercial wargames. 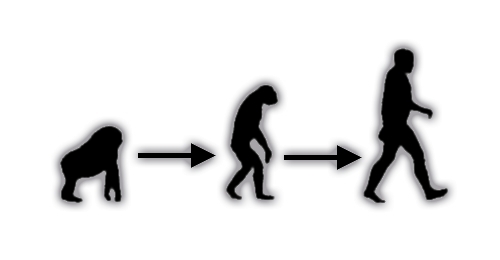 I hope to find some time to explain AI coding in more detail some day as well. But it is not something easily or quickly explained. Will the DCX:Community Project be included with the release of DC3 or sometime after? I hope I’ll be able to release it at the same time, but in the worst case it should only be a few weeks after. Releasing it as an open BETA version makes life easier here for me. Will losses still be in increments of 10 & 100 in the DCX:Community Project? The VR default ruleset which I advise everybody to use will use such a ratio system yes. Since it is well suited for battalion – divisional combat. However what is possible, but what I do not advise, is to create a FORK of the default VR ruleset. Other options if there is a lot of aclaim is i might be I release a library that allows easy tuning of the ratio’s on a scenario – to – scenario basis.